Our farm, originally uploaded by mark&kumiko. 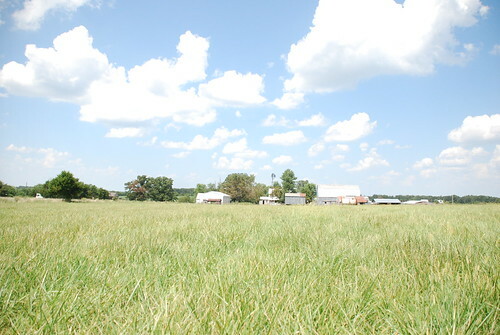 Since moving back to the Ozarks in early summer, 2009, we've been living with my parents and farming wherever we could. Finally, we are getting ready to move onto our own 18-acre place in Seymour. It was an Amish home, so we are "modernizing" it now--wiring, plumbing, septic, kitchen, heating, etc. It's been quite an experience but also an opportunity to examine our real needs and simplify our lives. From this fall, we will be farming at our own place. We hope that you all can come and visit us. As we begin this next phase of our farming life, we'd like to take the opportunity to thank all our friends and family, customers, fellow market vendors and shop owners who have shown so much kindness and generosity to us. We wouldn't be anywhere close to where we are today without your belief and support--thank you!